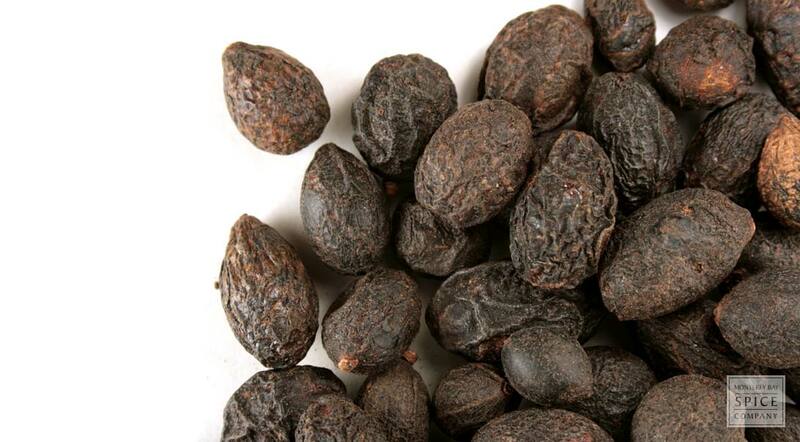 Saw palmetto berries come from Serenoa repens, a species of palm tree also known as cabbage palm and shrub palmetto. Although the plant is relatively small compared to other palms, some specimens have been known to live for more than 500 years. The dried whole fruits of this tree are used to prepare tinctures and extracts. active compounds Steroidal saponin, Polysaccharides, Volatile oil, Fixed oil, Tannins. storage tips Keep in a sealed container away from light and heat. appearance & aroma Round, wrinkled and dark in color without significant aroma. decorative Add to potpourri mixes for textural interest. culinary Use to make tinctures and alcohol extracts. safety May increase the effects of anticoagulant and antiplatelet drugs, including aspirin and warfarin. Check with your doctor before using this herb if you have a history of a hormone-driven cancer. Store whole saw palmetto berries in a glass jar in a cool, dark place to keep fresh. Decant saw palmetto berry extract or tincture into amber bottles with droppers for storage. Saw palmetto is a small, shrub-like palm that is native to the southeastern US, especially the coastal plain of Florida. It is also found in the gulf region, however, as well as along the coastal plain of California. The Choctaw, Seminoles and other indigenous peoples harvested the ripe berries for food and used other parts of the plant to produce fibers for textiles. Although early European settlers found the saw palmetto berry too bitter to eat, its properties and reputed benefits were publicized in the American Journal of Pharmacy in the late 1800s and have been the subject of numerous clinical trials ever since.